HOUSTON (KTRK) -- An eye patch is a constant reminder of how quickly things spun out of control last month for a 21-year-old college student from Houston. "I feel like my life has changed, and sometimes I just don't feel normal," she says. Out of concern for her safety, her family asked not to be identified. She attends college outside of Austin. She was with friends at the Container Bar on the city's popular Rainey Street, when she says a man harassed her. "Almost instantly, I feel someone come in and put their arm on my left hip and begin to grind on me," she said. He was later identified as Christopher Depolo. "I said that was highly inappropriate. I said that five times. Then he called me a 'dumb ugly b***h.' And I pulled out my phone and I said, 'I'm gonna call 911.' He said, 'Call 911, call them,'" she recalled. 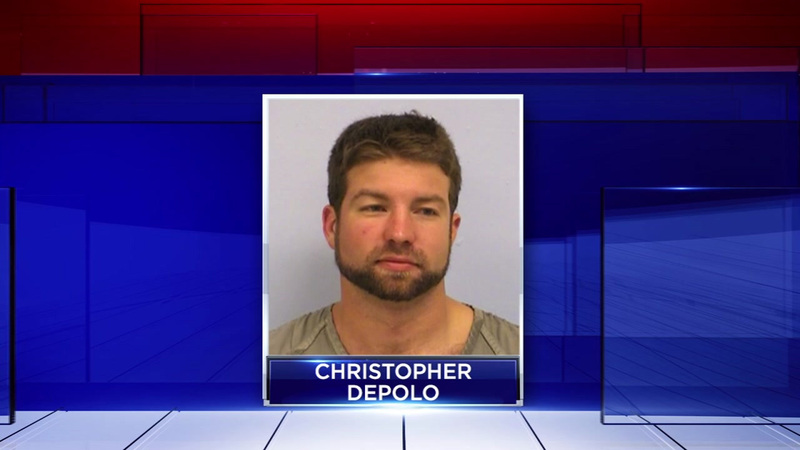 According to court documents, she shoved Depolo when he wouldn't leave the room. A witness says he stepped back inside and picked up a glass that was on the nearest table; Depolo allegedly threw the glass like a baseball pitcher into victim's face." "I just remember touching my eye and seeing the blood on my hand and screaming," she says. He was arrested last week and charged with aggravated assault. "They had to sew back together my eye lid because it was slit in half. Almost filleted," she said. "It's very hurtful when your daughter is laid up in the bed having surgery for an unprovoked incident...something foolish like this," her father tells us. This family hopes her story will save other young ladies in the future. "I do believe you should be aware of where you are, who's around you, who's talking crazy," he says. She says she doesn't regret telling Depolo that his actions were inappropriate. "I can't help how he reacted. This is what it looks like to standup for yourself in 2016 for a woman?" she said. Her father also says call 911 if you ever find yourself in a situation that's escalating, even if you don't think it would go this far, because you never know when it could spin out of control. Depolo is out on $75,000 bond.